Welcome to Inside Kimmel. 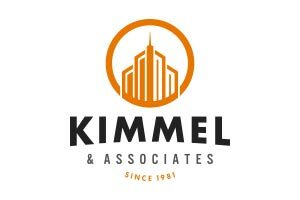 I’m Charlie Kimmel, and today we’re going to discuss the common reasons people change jobs, but before we do that, let me tell you a little bit about Kimmel and Associates. We are an executive search firm. We’ve been doing this for 34 years. We’ve placed over 15,000 people. We have a database of 800,000 people. We have 100 folks here every day making 3,000 calls to the industry, and in those telephone calls we talk only about peoples’ careers, whether it’s employers looking to hire somebody, or candidates, professionals looking to make a change. That’s all we talk to them about. So the nature of the relationship requires honesty. Candidates have to tell us why they’re interested in making a change. It doesn’t benefit them in any way not to. The same for employers, their company depends on people, people being their best asset, and their greatest expense. So the nature of that conversation needs to be honest. Over 34 years, we’ve had an accumulation of gained knowledge, and that is what I’m going to share with you today in speaking about the common reasons why people make a change. The first point I’d like to make, which might be surprising to a lot of people—I’ve found that people are surprised by this—that it’s not the money. Everybody thinks that that’s the reason why people change jobs. A couple of points in regards to the money, is one, it is important. It is a factor. People aren’t going to continue to work if they’re grossly underpaid, that’s for sure, so you have to be competitive. Secondly, employers are going to lose people to money. It just happens. I think there’s some unwritten rule that everybody has to change jobs at least one time for the money, and they end up being disappointed. The first lesson in recruiting is that if you’re speaking with a candidate, and that candidate tells you at some point in the conversation that the only reason they’re going to be interested in another position is the money, you’re taught to just politely end the conversation and hang up the phone, because one of two things is going to happen. That person is going to go on an interview and not take the job, or they’re going to take the job and end up realizing, “Hey, wait a second, this isn’t what I wanted to do with my career,” and end up causing the client a lot of trouble. It’s not the money. “Money has never made a man happy, nor will it. There’s nothing in its nature that produces happiness,” is a quote by Benjamin Franklin, and we’ve found that to be true in our experience. Okay, so it’s not the money. What is it? We’re going to discuss four points. The first point is professional challenge. We find, when we’re speaking with candidates in regards to making a change, one of the more likely things they’re going to say are, “I’m bored to death.” Or, “I could do this. . .” We’ve had one candidate say, one candidate that I know, said “I can do my job in three hours per day. I’ve got to get out of here. I’m dying.” And that’s the truth. That’s how a lot of people feel. It sounds silly, but people are very interested. The people that you want, the people that are going to be of benefit for a company, they want to be challenged. They want to improve. They want to grow. And that’s been our experience. When we hear a candidate say that, we know they’re darn serious about making a change. It’s an easily solved problem, but it is in the top four reasons why candidates, or people, make a change to better their career. It’s because they want to be better. And if you’re not challenging them, I would encourage companies to do so, to look at ways to do so. The second point I’d like to make is career advancement. People need to see that they have a career with a company. If it’s just a job, they’re likely going to make a change if they’re the people that you want working for your company. The statements we hear often are, “My boss is two years younger than me. I need to find someplace else.” Or “This is a family business and I’m not in the family.” They don’t see them going any place. They don’t see themselves going any place. They don’t see themselves growing with the company. They feel like they’re stuck where they are. When somebody’s stuck where they are, they have to do something different. So they’re going to listen to other opportunities. They’re going to listen to other people out there in the marketplace, and always think the grass is always greener. When people feel stuck, when people feel like they can’t grow, they can’t one day be what they want to be in their career, they’re going to make a change. The third point is lack of appreciation. This is the area where we as a company have seen the most room for improvement for companies. It is such a simple thing to do, and we’re always so surprised when we hear it. But it’s so powerful. People want to be appreciated. A lot of people need to feel appreciated, and believe me when I tell you that people change jobs because they’re not appreciated. And what goes along with that is recognition, and it’s such an easily solved problem. People feel like they need to overpay, and everything is engulfed in compensation packages and everything of that nature, but the simple fact is, is a heartfelt thank-you, a heartfelt, “This is Jim, and he did a great job, everybody at the company.” That means more than anything you can do monetarily for the right people. So lack of appreciation is a reason why people will come and talk to us in order to make a change. The fourth and final reason why people make a career change, or change jobs is a disagreement with management, or a break with management for some reason. That reason, we have found is, generally a breach of trust, a broken promise of some sort. What we’ve found is it doesn’t necessarily need to be a large promise, but if it is an accumulation of little things by their direct boss or by the owner of the company, or by the company itself. If it doesn’t fall within their system of ethics, often times they’re going to make a change. And that’s the most common thing that we see. We’ve been doing this for 34 years, made 15,000 placements, talk to 3,000 people per day, and this is the most common reason why people make a change is this disagreement. So those are the four most common reasons that we’ve found that people make a career change. I’m Charlie Kimmel, this is Inside Kimmel, and we hope you learned something.